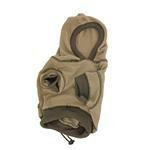 What a great dog hoodie for dogs on the go! 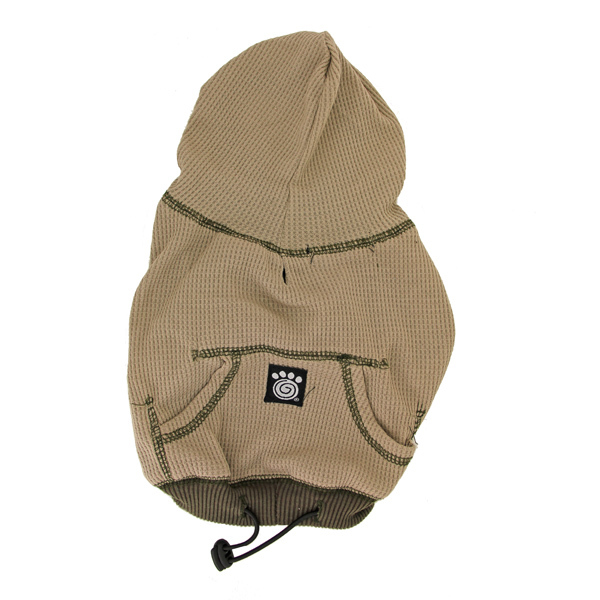 The On the Go Thermal Dog Hoodie from PetRageous is a simple and lightweight thermal pullover hoodie with attache hood, kangaroo pocket on back and ribbed contrast trim at waist, sleeves and hood. Cinch cord at waistline for secure fit. Leash hole for convenience. Very comfortable! Made of machine washable poly/cotton blend. 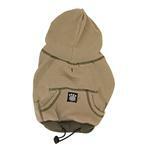 On-the-Go Thermal Dog Hoodie - Taupe Customer Photos - Send us your photo! This thermal hoodie is the perfect "go to" shirt because Einstein loves to be comfortable. Bronco loves his new hoodie! Just another day in L.A.
Posted On 11/27/17 by Judy K from Bolingbrook , IL Yes, Judy K recommends this product! Washes well and the cinch cord around the waist is a nice bonus. It can keep the Hoodie snug around the body and keep out any drafts. Posted On 10/30/17 by Laurel L from Richmond, VA Yes, Laurel L recommends this product! I ordered a size medium for my newly adopted Rat Terrier. He is overweight at about 23 #'s and the neck opening is comfortable in this size. I did leave it on him overnight, and in the morning he had wiggled through the neck and was wearing the shirt around the middle of his chest. 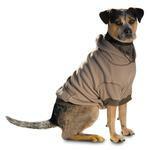 It is a very attractive casual addition and Fetch looks so cute in his new hoodie. Posted On 07/31/17 by Lisa h from Centerton, AR Yes, Lisa h recommends this product! This shirt ran big but lightweight and easy for my dog to wear. Posted On 06/07/17 by Stephanie Stewart from roanoke, VA Yes, Stephanie Stewart recommends this product! Posted On 12/11/16 by Wanda S from Anderson, TX Yes, Wanda S recommends this product! This was a repeat purchase. I really like the fit and weight. Great item! Posted On 11/22/16 by Nicole R from Las Vegas, NV Yes, Nicole R recommends this product! This was a little tighter then anticipated, but still fit to specs. Lightweight enough to wear everyday, great for brisk but not super cold weather! Posted On 01/27/15 by Judy K from , Yes, Judy K recommends this product!